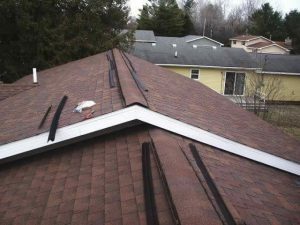 “Another Ridge vent job today only took 1 hour and 10 min. from the time I took the first pic. to me backing out the drive . The Ridge Guard goes down fast and easy. A total of 105 feet installed”.